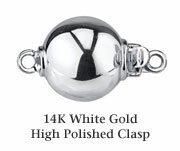 The bracelet consists of 8-9mm AAA quality freshwater pearls with "very high" luster. 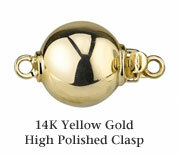 The pearl bracelet is affixed with a beautiful sterling silver or 14K gold ball clasp. 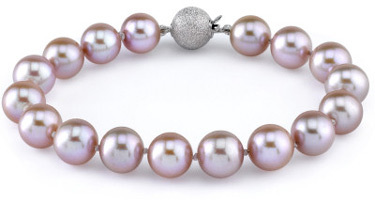 We guarantee our 8-9mm Lavender Freshwater Pearl Bracelet to be high quality, authentic jewelry, as described above.